Connect Potentiometer's end terminal to 5v pin and Gnd pin of Arduino respectively. And wiper terminal to A0 pin. 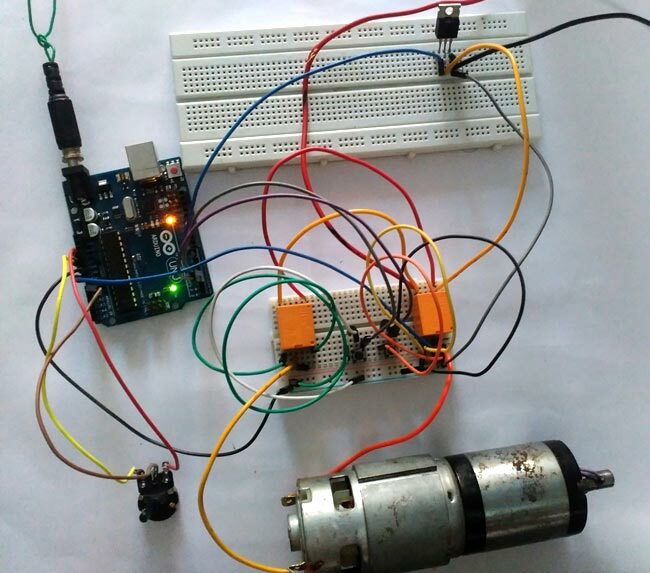 Complete working of this Arduino Based Bi-directional Motor Speed and Direction control is shown in the Video below with the Arduino Code. With end stops and wall push button to open and close. I'm not sure on how to do the wireing or the code is there any chance of assistance?